On January 24, 2019, a severe bus accident occurred in Parsippany, Morris County. At around 7:45 PM, an Adirondack Trailways bus was involved in a crash with multiple other vehicles on I-80. The bus, which was carrying about 24 passengers, was left badly damaged by the collision. Unfortunately, several individuals on the bus were also severely injured. Around 20 people suffered injuries that resulted in hospital visits to Morristown Medical Center. Three of the crash victims are known to be in a serious condition. Tragically, a 21-year old student was ejected from the bus and died from her injuries. It’s mass transit incidents like these that can leave victims with substantial, life-changing injuries that hamper their ability to earn money and live peaceful lives. Seeking compensation is critical if you want to put the pieces of your life back together. If you’re injured in a mass transit collision, you can seek personal injury damages against those responsible for the accident. Costs associated with accidents can add up quickly – you may be in a position where you’re responsible for paying significant medical bills. Many crash victims also miss work and suffer from gaps in income as a result of their injuries. Don’t let you and your loved ones suffer because of the actions of someone else. Seeking compensation from mass transit authorities is often complicated. You’ll be fighting for your rights against a large organization with plenty of legal resources. Choosing a New Jersey auto accident lawyer with experience in fighting mass transit cases is a necessity. If a family member or loved one has died as a result of a mass transit accident, you may be within your rights to seek wrongful death compensation. While this will in no way fix the results of the accident, it can go a long way in ensuring your family receives justice and compensation. In the case that a breadwinner in your family has passed away, it’s essential to ensure you have financial support as you move forward. personal injury attorney that has experience working with complex cases. You often only have one chance to seek the compensation you’re owed—it’s vital that you get your case right the first time. 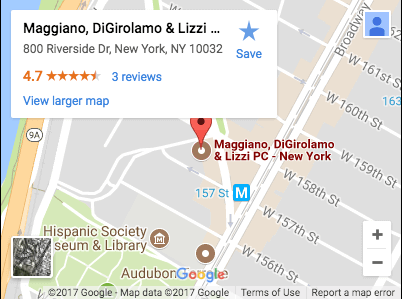 At Maggiano, DiGirolamo & Lizzi, we have substantial experience helping our clients seek the compensation they deserve. We’ll start the process by contacting you to discuss your case. We review and assess cases completely free of charge. Once you receive a free assessment, we’ll determine if we believe you have a personal injury compensation case. If you do have a valid claim, we’ll begin to prepare to take the perpetrators to court for compensation. If you or a family member needs to seek personal injury damages because of a mass transit accident, get in contact with our team of highly-trained personal injury attorneys today!